It is commonly circulated in the internet that in order for a non-Thai national to get a Thai work permit, he must secure a non-immigrant visa at his home country first before going to Thailand. While this is true, it is important for you to know that not all types of non-immigrant visa are granted, only the B-visa or O-visa. 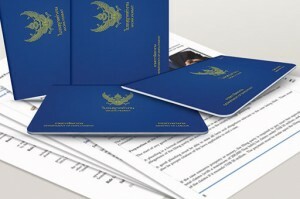 A foreign national who wishes to work in Thailand is usually granted with a B-visa and his accompanying family members will be issued with O-visa. Even if it is the Thai company who will sponsor for your work “B” visa, it is not automatic that you will be granted with such visa. The company needs to comply with the 1:4 ratio of company employees. That is, for every 1 “B” visa that the company seeks for its would-be foreign employee, the firm must also have 4 fully employed Thai workers. Moreover, there is an equivalent of 2 million Baht of paid up capital in every work permit the company applies for. Further, the company is required to pay 3 million Baht of corporate income tax in order to secure 10 work permits or that the company will comply with other applicable conditions. With your Thai company employer’s sponsorship, you can apply for a work permit by yourself. The fee is dependent to the validity period set. To apply for work permit in Thailand, see Siam Legal’s Thai Work Permit page.